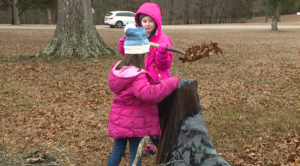 SHILOH, Tenn. – As the government shutdown continues, a group of volunteers traveled to Shiloh over the weekend to clean up a historic landmark. The Libertarians of West Tennessee conducted a clean up at the Shiloh National Military Park Sunday afternoon. “Since the government shutdown has occurred the employees here have been on furlough,” said Paige Lee. Lee is the Region Two Alternate on the Libertarian Committee. The volunteers searched for any garbage left by visitors and any tree branches that may be lying on the ground. “We want to clean up and remove brush, rake leave whatever we can just to maintain the grounds here,” said Marcus Baker, Delta Region Coordinator with the Libertarian Party. Organizers say about 20 volunteers showed up to help clean up the mess. They say it’s important to them to maintain historic landmarks in West Tennessee clean. “Its an important landmark, it’s a national cemetery. My grandfather is actually buried here and I am a veteran myself so definitely the cleanup. This is a place where soldiers are buried its very important,” said Ben Mehr, McNairy Co. Chairman of the Libertarian Party. Volunteers say they even brought their children with them to help clean up. “We actually have our kids here helping today too. We just want to, you know, preserve the respect and dignity of this place and hopefully it will spread to other parts of the state as well,” said volunteer Shana Mehr. “Our history is something that should be preserved. As much as we can, we would like to see our history you know kept beautiful. This place is always beautiful,” said Baker. 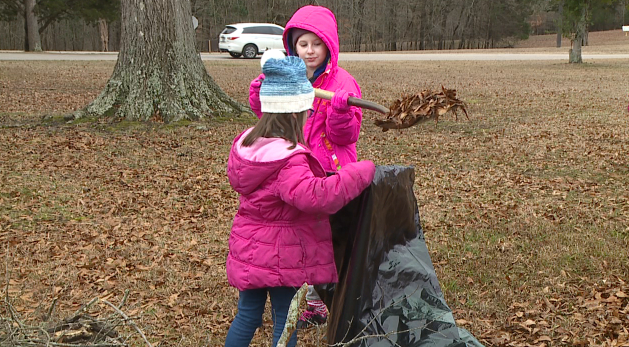 The group says they are hoping to help clean up any other parks throughout West Tennessee.